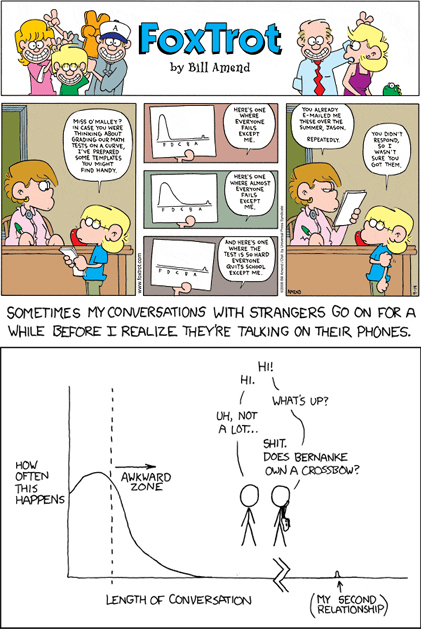 Check out the middle graph in FoxTrot (which came out on Sunday) and compare it to the graph in xkcd (which, if I remember correctly, came out on Monday). Did anyone else notice this? I actually did NOT notice that, despite being an avid reader of both strips. !!Surprise!! You can’t see it? I saw it perfectly when I posted it at home and I can see it now at work. Is anyone else having problems seeing it? I noticed it the other day when xkcd posted, but forgot to write the blog entry until this morning. EDIT: Ah, I see what the problem is. Fixed.